On this page, you will find a number of transitional living options. This provides a modest number of programs. The facilities listed are not necessarily endorsed by Be a Part of the Conversation. A sober living house for women offers an alcohol and drug free environment and provides a safe structured support system while transitioning to a clean and sober life. Junction House offers an affordable recovery, sober, and transitional living residence home for women, who want to take the next step in continuing their paths of recovery from the addiction. Little Creek Lodge is committed to building a strong foundation and integrating internalized recovery, through therapeutic and 12 step models; with a focus on the spiritual paradigm. Our message is delivered in a clean, safe, confidential environment that addresses the needs of each client on an individual and group level, by caring compassionate, experienced professional staff. Whether you are currently in the grips of addiction and seeking a way out, or just starting on your journey to recovery and in need of life guidance on a residential level, Newfound Freedom is here for you and remains committed to helping men and women in building lifelong foundations in recovery. A Next Step is the premier sober living/recovery home organization in Lower Bucks County PA. We provide sober living for those in need of a structured, program-oriented, sober living environment while in the early stages of recovery from alcohol and/or drug addiction. 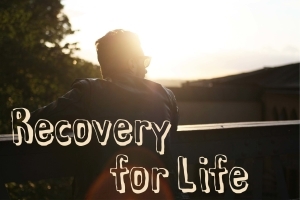 We provide residents with a safe, supportive environment filled with the unconditional positive regard and fellowship necessary to learn to live a fulfilling life in recovery. Serenity Lodge, Sober Living for Men, located in Northeastern, PA, is transitional housing for men in recovery offering a bridge between treatment and independence. The StepbyStep mission is to create a healthy, supportive living environment for a person to gain stability, a measure of personal security, and a chance to begin “a new way of life” by drawing strength from other recovering people that are doing the same. Our purpose is to provide safe, substance-free recovery houses that foster dignity and self-respect for recovering individuals. Our households will cultivate personal transformation through fellowship and engagement in 12-Step recovery programs. Our structure will develop self-discipline, responsibility, and respect for self and others. We are committed to recovery and to helping our residents build a better life. Turnbridge provides industry leading gender-separate residential recovery programs, designed to meet the needs of young adults and adolescents facing addiction and co-occurring mental health disorders. Turnbridge combines addiction treatment and mental healthcare best practices with a comprehensive life skills training process to produce exceptional outcomes for its young adult clients. Our mission is to positively transform the lives of our cherished clients, and their families, by providing a practical framework for successful, sustainable, sober living. Emilie House provides a sober living environment for both men and women with the opportunity to move on to sober living. My Sober Roommate went live in June 2016. The site connects people who are looking for like-minded people. You can select the amount of money you are comfortable spending on rent, if you have a room for rent or if you are looking for one, how long you’ve been sober, and more. Self-run, self-supported, sober-living homes. Safe, beautiful transitional sober-living homes for recovering addicts and alcoholics. Our goal is to help as many men and women as possible re-enter society through the Valentine Homes and increase their chances at living a long, sober life. Working to End Domestic Violence. Laurel House is dedicated to the vision of ending domestic violence in each life, home and community.